(LTC) is a variety of services which help meet both the medical and non-medical need of people with a chronic illness or disability who cannot care for themselves for long periods of time. At DG we offer 24-hour skilled nursing, post-hospital and post-surgical care, and restorative care in comfortable private and semi-private accommodations. Our qualified team can also coordinate physician and pharmacy services on behalf of residents and their families. For virtually all our residents, living here means knowing their caregivers as friends-a level of trust you just don't get when you're in the care of strangers. 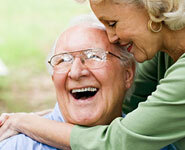 These close relationships are one reason why Devon Gables means home for many older adults. We feel that a comfortable atmosphere should also be a modern, safe and convenient one. Our staff is our greatest resource. We take care of them, so they can take the best care of you. We take pride in our fine cuisine, served with a Tucson touch. Our services include: Physical Therapy, Occupational Therapy, Speech Therapy and Respiratory Therapy. "Our goal is to achieve the highest level of independence for each client."